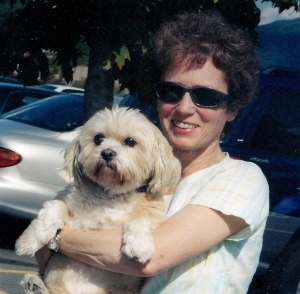 The animals lost a champion this past December when Samantha Mullen succumbed to cancer. She did her best to defy and beat that enemy with every breath of her being, just as she had defied and prevailed over so many opponents before, but this was a battle she would not win. Her loss is our loss of a uniquely talented and dedicated individual. We want to take this opportunity to celebrate her life and signify her accomplishments.A born educator, she began her career as a French Professor at SUNY New Paltz after moving to New York from her home in the Midwest. 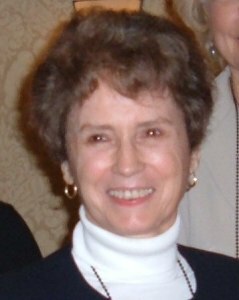 While teaching there, she began her animal advocacy by serving on the board of the local SPCA in order to improve conditions for the shelter animals. After eleven years at SUNY, she chose to pursue her passion for animal advocacy on a full-time basis, and NYSHA had the good fortune to hire her as our Administrator in the mid-1980s. It can truly be said that she infused and renewed the organization with her spirit, dedication, and professionalism. Cats Me-Me and You-You enjoying Samantha’s attention. One of her key objectives was, and continued to be, solving the problem of pet overpopulation, and she attacked it with a vigor unmatched by many. To that end, she spearheaded a hugely successful two-day conference in New York City in September, 1987, entitled “The Overpopulation of Cats and Dogs.” Speakers included well-known national figures, such as Ingrid Newkirk and Tom Regan, various veterinarians participating in early-age spay/neuter and low-cost clinics, as well as numerous luminaries well versed on this issue. The conference proceedings were published in book form by Fordham University. Interestingly, yet not surprisingly, the topics discussed are as relevant today as they were in 1987. Samantha launched headlong into the biggest challenge of her career — doing battle with Justin McCarthy, who ran the infamous “Animals Farm Home” in Ulster County, NY. McCarthy had managed to pull the wool over the eyes of many, including Readers Digest, to hide an ugly reality. Rather than providing animals a happy home on the farm until they died, he condemned them to a living hell. The animals, at the mercy of this demon, suffered until they died, the victims of starvation, lack of veterinary care, and worse — cannibalism by other starving animals. With the ink barely dry on the book, Samantha launched headlong into the biggest challenge of her career — doing battle with Justin McCarthy, who ran the infamous “Animals Farm Home” in Ulster County, NY. 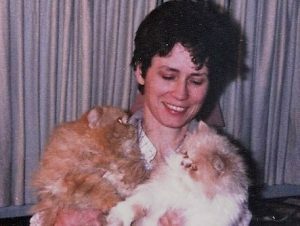 It was the largest animal hoarder case to date at that time, and may still be. McCarthy, emboldened by his New York City PR background that included a slew of friends in high places, had managed to pull the wool over the eyes of many, including Readers Digest, to hide an ugly reality. Rather than providing animals a happy home on the farm until they died, he condemned them to a living hell. The animals, at the mercy of this demon, suffered until they died, the victims of starvation, lack of veterinary care, and worse — cannibalism by other starving animals. rescued during an investigation and closure of an Ulster County puppy mill. If there is a heaven, Samantha has been welcomed there by the hosannas of the hundreds of animals who were rescued from that death camp and the thousands of others who were spared the misfortune of ever being surrendered there. NYSHA produced a video of the case, and the end scene features Samantha waving a chain saw in the air, gesturing toward the “Animals Farm Home” sign before she plunged the blade into the wood, destroying it. Shutting down the Animals Farm Home lead to a spate of other hoarder cases that Samantha expertly assisted with across upstate New York — places that should have been closed down long before.Despite the time spent on hoarder cases, Samantha also actively lobbied the New York State legislature for improved animal legislation. Though she was diplomatic and professional, it was clear that this diminutive power house was a force to be reckoned with. A pretty and petite woman, she could pack a verbal punch when necessary. 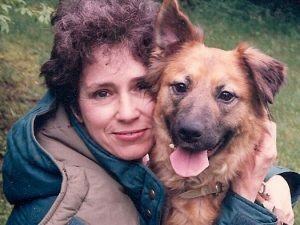 A proponent of mandatory spay/neuter of dogs and cats, her efforts lead to the passage of a key bill that required the sterilization of all dogs and cats adopted from NY State animal shelters. It was added to Article 26 of the Agriculture and Markets laws as Section 377. This piece of legislation alone has doubtlessly saved hundreds of thousands of unwanted animals from being born, often into a life of suffering. Samantha loved and had empathy for all animals. Her dedication to shelter animals was matched by her devotion to shelter staff for whom she had the greatest respect and appreciation. To support them in their demanding work, she produced “Shelter Standards” workshops in various parts of the state. The workshops included segments on the latest sanitation techniques, information on the most humane methods of euthanasia for the technicians performing that sad but necessary task, and counseling sessions on “shelter burnout” for those faced with the daily challenges of running an animal shelter. Employees who attended these workshops felt they had finally found a place where they were understood and appreciated. 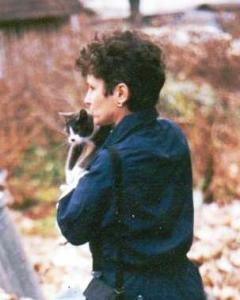 News of Samantha’s stellar work spread, and in 1994, The HSUS hired her as Director, Animal Care and Sheltering. She embraced this opportunity to effect positive change for animals with a national focus. The job meant relocating to Maryland, and later NJ, but she knew she would some day return to New York. 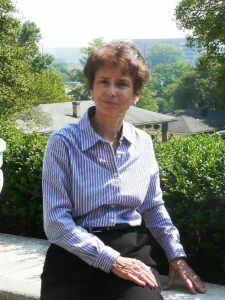 At The HSUS she produced various programs to bring innovations to the shelter community and participated in the production of the yearly Expo, held in various cities across the country. Samantha helped coordinate hoarder cruelty case. The year 2003 took her on a detour from her normal duties when she became involved with a major dog fighting case. The NYS Police, along with police agencies in several states, were investigating a large dog fighting network. The kingpin was located in Orange County, NY. The police called in The HSUS and the New York State Humane Association for assistance. Samantha headed the animal team that entered the Orange County property with police, helping to remove the animals for placement at various shelters. She worked with the DA’s office to ensure animal reports and evidence was collected. The dog fighter was subsequently found guilty, was sentenced to prison, and forced to pay restitution to the agencies that cared for the animals. A tragedy of another sort followed — Katrina hit the Gulf. Samantha and other staff were dispatched to coordinate rescue efforts in Louisiana. Hundreds of animals had been displaced by the flooding and rescued by various groups and brought to a central location. Despite the sultry weather, animals had to be cared for and makeshift housing had to be built. Records had to be created to begin the process of finding animal owners. Mission accomplished, Samantha returned exhausted, but satisfied that she had made a difference. Samantha – an inspiration to all who knew her. In sum, though Samantha left the university, she never stopped teaching. Even as a patient at Albany Medical Center and at St. Peter’s Community Hospice, she never missed an opportunity to educate staff, family members, friends, and visitors. Two subjects were on her syllabus: the need to spay/neuter companion animals and the extraordinary importance of full-service shelters, those compassionate shelters that never turn animals away, because the staffers there know what tragedies might befall them. It was her wish that her advocacy for animals continue through all of us who were her students in some capacity over the years, that we continue being a voice for the voiceless. By this standard, Samantha really lived well. New York State Humane Association Humane Review, Vol.XXVI, No.2, Fall/Winter 2012-2013.